Following our recent seminar on Digital Marketing with Schwarzkopf Professional’s ASK Academy, we found one of the hot topics of debate was regarding types of easily achievable social content. From promotions and offers, to competitions and ‘hairspiration’, many content types can seem inaccessible when time is tight – requiring management, image sourcing, image editing and even a professional-level of on-brand photography. This is why the easiest and often most effective social content, behind-the-brand and behind-the-scenes snapshots and videos, drew so much interest during our discussions. With the use of nothing more than a smartphone or GoPro, brands are able to capture content from the point of view of those on the salon, shop or office floor. Think of the content that your customers post on their own personal profiles of their day-to-day lives, but turn this around… this is content your staff will capture to present the brand on your business profiles! Harnessing the greatest benefits of social media for a business, behind-the-scenes content offers the consumer an intimate experience of the brand; taking them where they would otherwise not have access to explore, and giving them a first-hand view of the lives of those behind the brand! There is no better feeling than being part of something. The sense of exclusivity that followers will experience when being let in on behind-the-scenes action at your HQ will increase positive sentiment, trust and ultimately, loyalty. There is also a more direct commercial benefit from this style of content. By showing the real-life, real-time goings-on behind the business, you can promote yourself, your skills, your environment, your generosity and ethic… and your loveable, approachable staff! Getting into the Christmas spirit, Number Three Salon in Bath posted a behind-the-scenes snap of their Christmas wreath-making class! 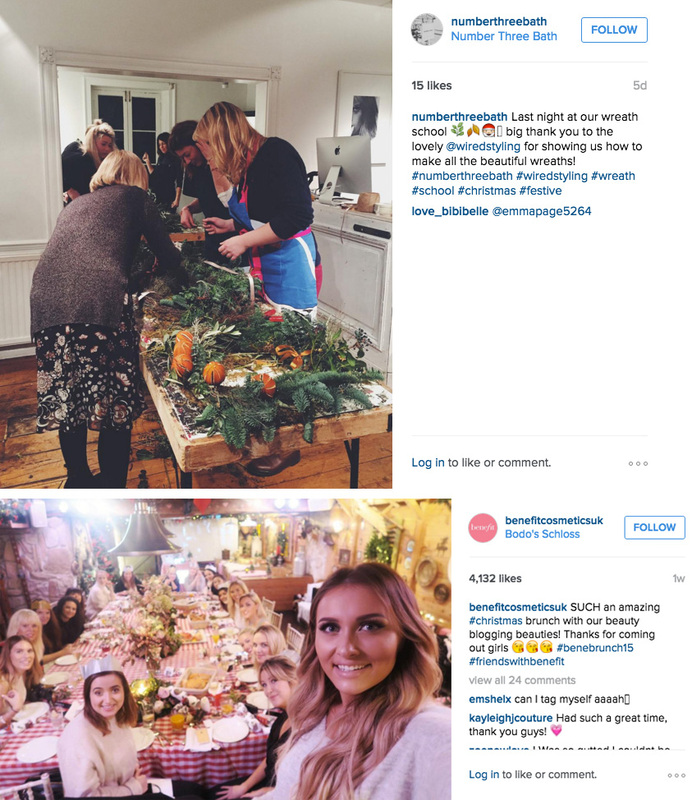 Benefit Cosmetics, on the other hand, have held a Christmas lunch for their bloggers. 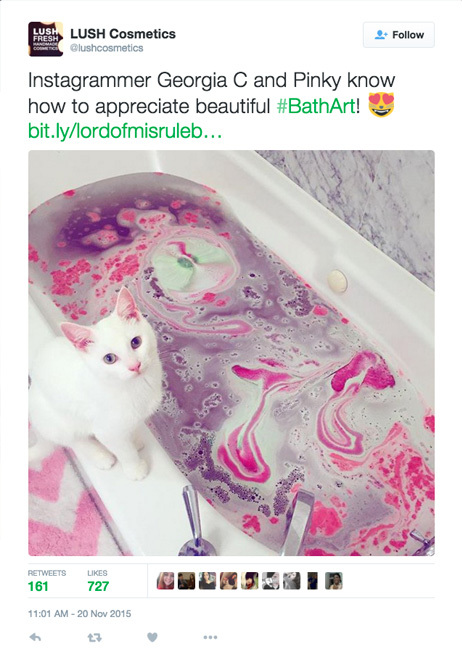 Not only do these kind of images make me want to be a customer of the brand, I’d also quite like to get in on the fun! Showing their presence at the American Music Awards, Schwarzkopf Professional USA took fans back-stage with celebrity hairstylist, Genia Church. 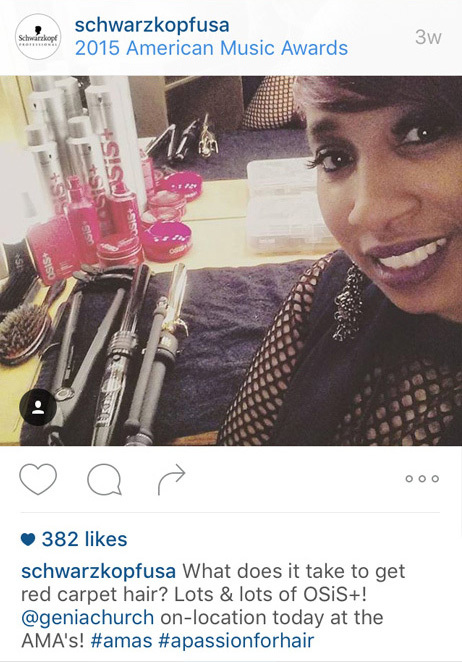 Instead of plainly saying “OSiS+ products used at the AMAs!”, backstage posts build trust and interest by suggesting rather than promoting. 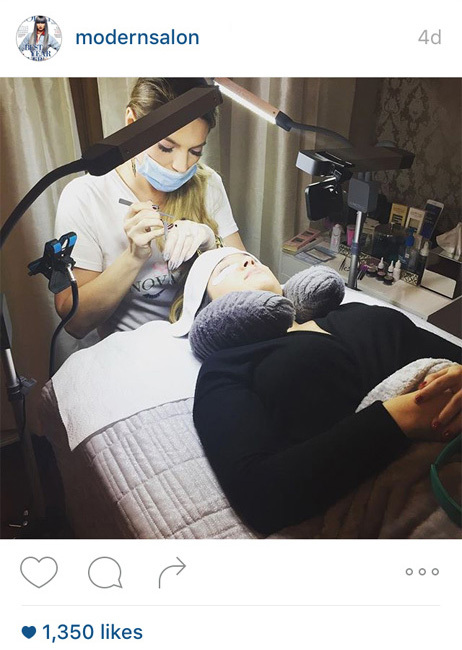 Allowing followers un-restricted access to in-salon services taking place in real time, Modern Salon gives us a close-up of their Editor getting Novalash eyelash extensions. It’s not all about the end result, it’s about the experience and process of getting there! Any consumer who is contemplating booking in for a new treatment, or trying out a new product, is able to get a reliable glimpse at what really takes place. Birchbox UK each brought in their own can’t-live-without products from their Birchboxes, inspired by their US colleagues’ Thanksgiving celebrations! Putting a face (or many) to a brand name, and giving them a personality and a voice, makes the brand approachable and relatable. Who better to give advice on their top product picks, than those who work with them everyday?! We also love a bit of team appreciation, especially when it’s global! Serving as inspiration to their followers, while shouting about their stylist’s handy-work, ELK Salon show a before-and-after from the salon. 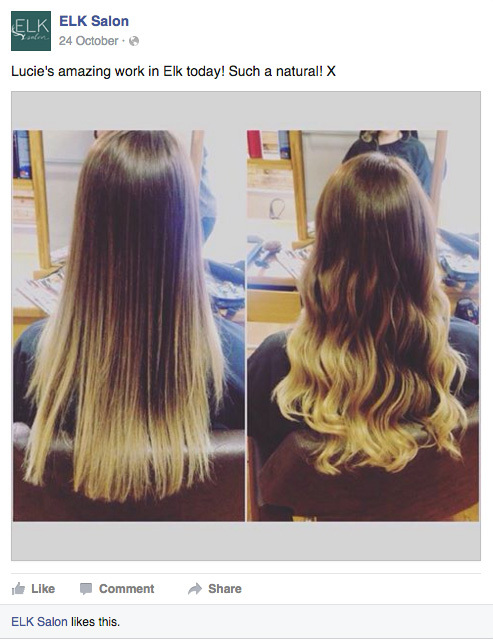 Seeing comparison results from within the salon is a great way to showcase skills and give customers a better feel for quality of the real results. Showing off behind-the-scenes of their products at work, or in LUSH Cosmetics’ case, putting on a spectacular colour display! What better way to demonstrate a product than to show your staff or clients giving it a go! Our top tip when considering creating your own behind-the-scenes content? 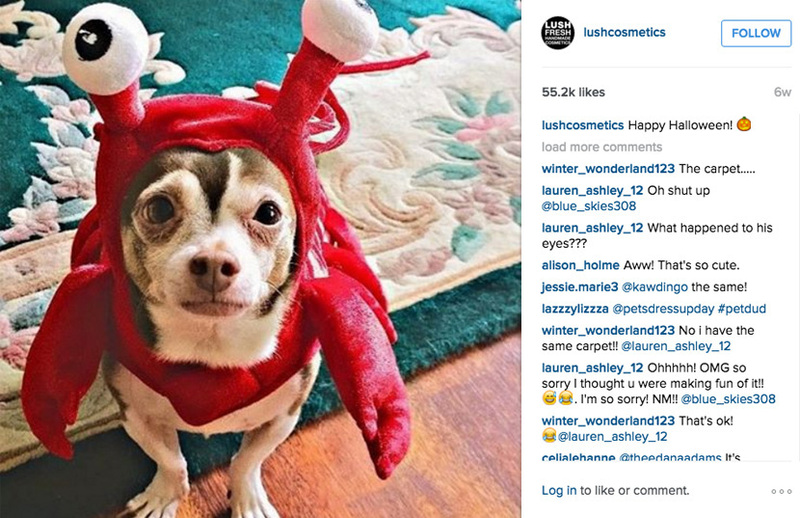 Remember to include hashtags and at least one other user’s handle in your posts. This will make sure you are getting the greatest reach from your content!